Rich Homie Quan recruits Ty Dolla Sign, Fabolous, & Dej Loaf for the official remix to “Blah Blah Blah”. 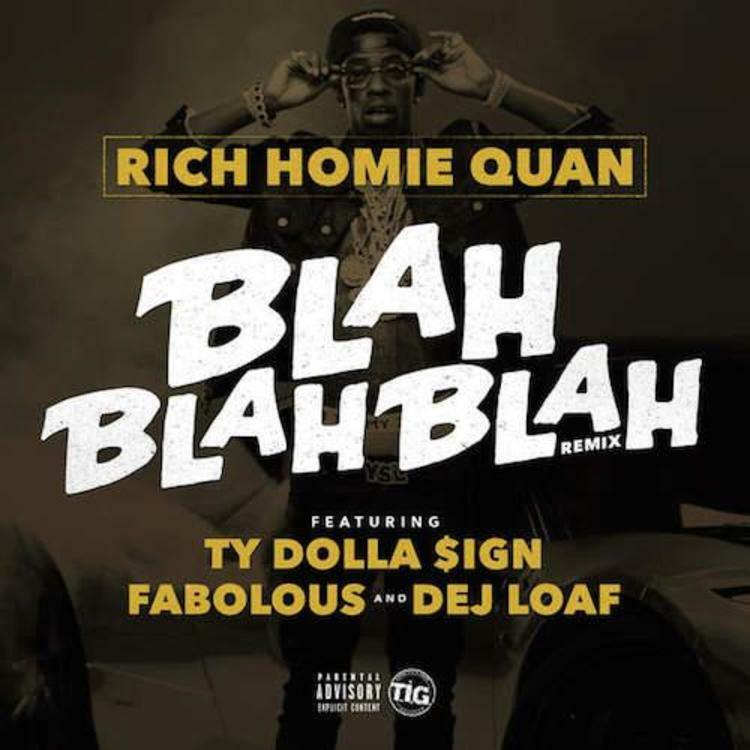 Following the release of last week’s “Around The World”, Rich Homie Quan decides to take to iTunes tonight and drop off the official remix to his track “Blah Blah Blah” featuring Fabolous, Ty Dolla Sign and Dej Loaf. Keeping the same catchy hook intact, the remix finds Fabolous leading things off with some Brooklyn flavor, while Ty addresses the ladies, and Dej Loaf packs a punch with her double time flow and unique cadence & voice. If you're a fan of the OG version, than this remix should do more than justice for ya. Take a close listen and if you're feelin' it show your support on iTunes today! Thoughts?